Pureit, World’s largest selling range of water purifier* brand from Hindustan Unilever Limited, has launched Pureit Marvella UV- premium UV technology based water purifier that combines aesthetics with convenience at a great price. 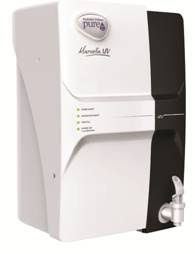 Featuring an ‘Advanced Alert System,’ the Pureit Marvella UV is India’s most technologically superior UV water purifier. Commenting on the launch Mr. Badri Narayanan, GM Water, Hindustan Unilever said “Pureit has made great strides in revolutionizing water purification, combining innovative technologies with unique consumer benefits, ensuring safe drinking water for millions of consumers.